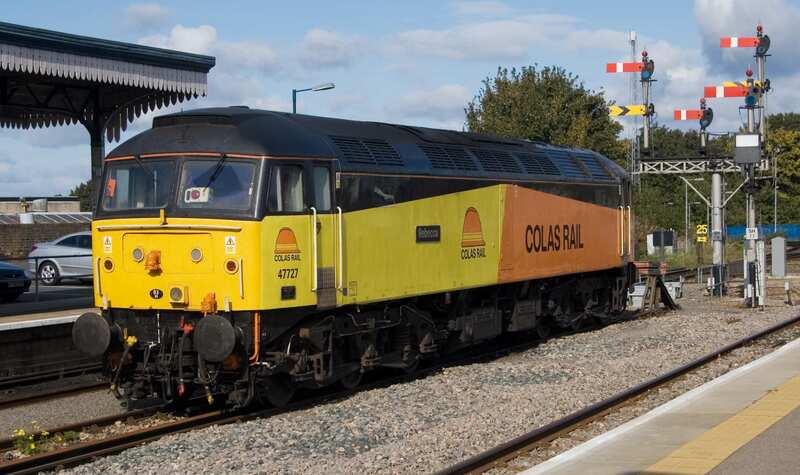 Colas Rail liveried ex-BR class 47 diesel locomotive No.47727 is stabled in the centre road at Worcester Shrub Hill on 2nd October 2008. 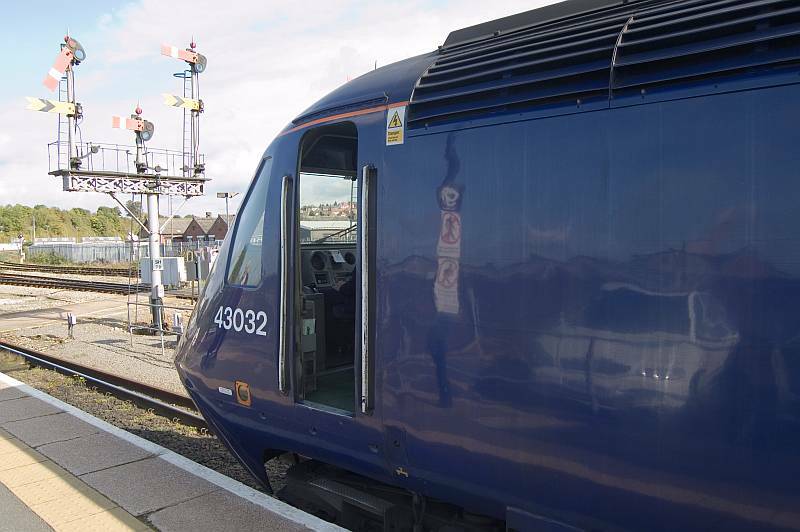 Ex-BR HST power car No.43032 is signalled to depart for Great Malvern. 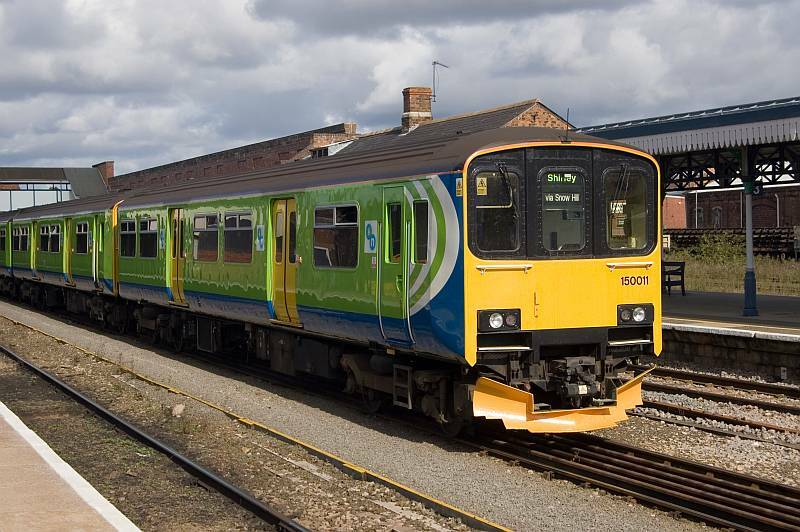 Stabled in the centre road Worcester Shrub Hill is two-car'Network West Midlands livery diesel multiple unit No.150011 complete with mini snow ploughs.